Horrendous prices for a few megabytes of data on a flight or on a train make you inventive. 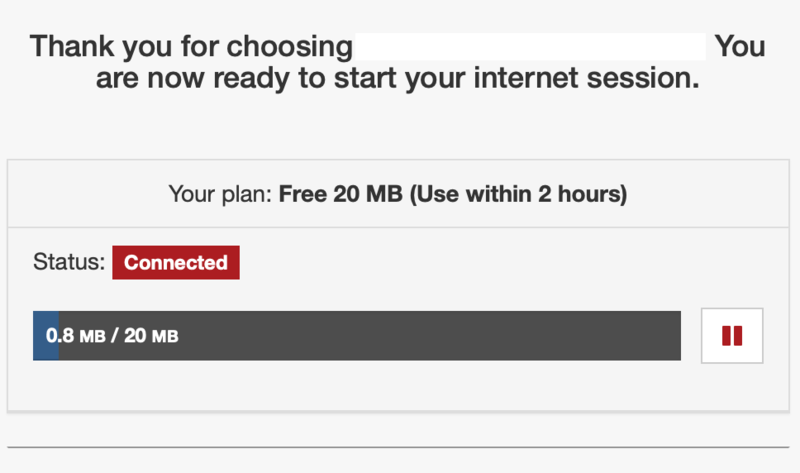 Emirates, for example, wants $10 for 150MB and offers the payment unwilling passenger only 20MB of free volume. If you don’t pay attention, you’ll use it up quickly. But no reason to panic. The volume normally depends only on the MAC address of the device and assuming a device would come after the end of the free volume with new MAC address the volume would start again from the beginning. How to do this on a MacBook, for example, I will describe briefly. However, the preparations should take place before the start of the journey. The device password is queried once and then the WLAN module with the new MAC address is available..
Now connect again to the OnAir /OnRail WLAN and the game with the free data volume starts all over again.